What is Microfinance? Who is it addressed to? What need does it cater for? Can I benefit from it? Is it a real option for people trying to kick-start their business or already have a business but are unable to tap into funds? Does it really work? 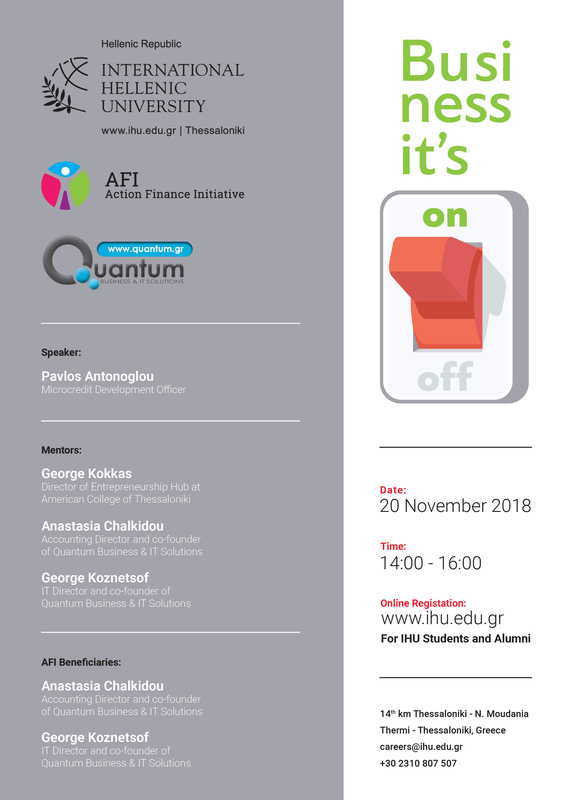 Those and many more questions of similar nature will be addressed from Action Finance Initiative, its mentors and real life beneficiaries during the Career Workshop organized by IHU’s CAREER OFFICE, entitled Business It’s “ON’’ that will be held on November 20, 14:00 – 16:00.